Chance Deaton grew up in Marlow, Oklahoma and now lives in El Reno. Chance primarily focuses his law practice on estate planning, trusts, probate, property law, condemnation law, and oil and gas. He strives to provide his clients with the information and understanding they need to make informed decisions about their legal issues. Outside of the office, Chance enjoys reading, writing, playing guitar, golfing, and hiking.Chance attended the University of Oklahoma, where he received a Bachelor of Arts in political science and graduated with distinction in 2011. In 2010 he won the Benson Undergraduate Paper Award, which is awarded each year to the most outstanding political science undergraduate research paper. Chance attended law school at the Oklahoma City University School of Law and received his J.D. in 2014. 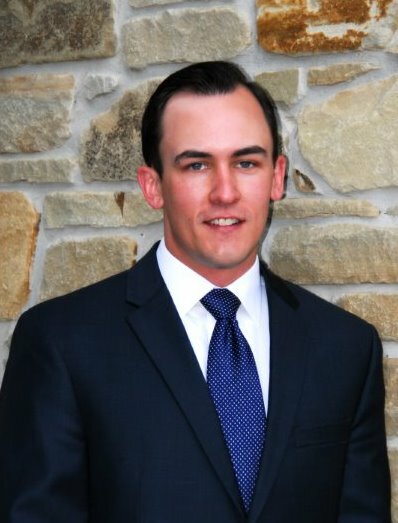 While in law school, Chance was a member of the Oklahoma City University Law Review and published an article with the Law Review in 2013.Chance was admitted to the Oklahoma Bar in 2014, and he is licensed to practice law in all Oklahoma state courts as well as the United States District Court for the Western District of Oklahoma. He is a member of the Oklahoma Bar Association and the Canadian County Bar Association. He is currently serving as an Associate Bar Examiner for District Nine of the Oklahoma Supreme Court.Chance strives to be an active member of the community. He volunteers for El Reno Public Schools’ Students Striving for Success Mentoring Program. Chance has also served as the attorney coach for the El Reno High School mock trial team. He is Past President of the El Reno Rotary Club and continues to be active in the club.Call or email today to set up a free consultation with Chance to discuss your legal needs.